Bob is available as an engineer and or producer. 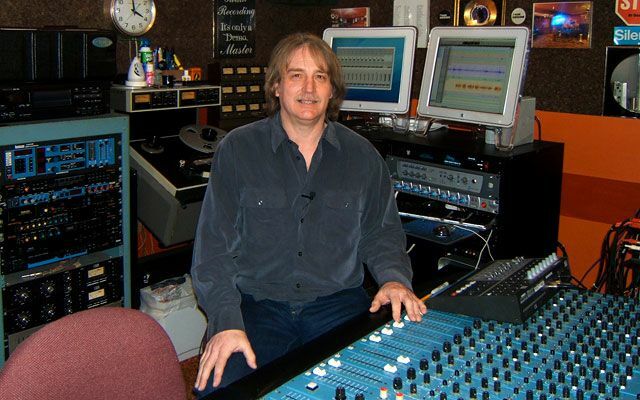 Types of work - tracking, overdubbing, mixing, editing, restoration and mastering. Styles (In no special order) - Rock (all kinds), R & B, jazz, funk, spoken word, Christian, new age, Blues, soundtrack, gospel and others. Fully equipped studio with 20' x 24' live room, 12' x 10' iso booth, Kawai grand Piano, Vintage Slingerland drum set, Vox, Fender and other amplifiers. Selection of over 30 microphones. 28 input analog mixer , Pro Tools 10, tons of plug ins. You can work in my studio or I can travel to a studio of your choice. Call or email your project requirements. A: Most of the work I do is with regional bands in various rock styles. Lots of guitar and vocal oriented projects. I get classical violin and piano students recording for competitions and college music programs. In my long career I have done Latin albums, Irish music, Christian music, Funk, R&B, some country , Punk Rock, New wave. A: Setting up quickly, keeping things moving smoothly, effectively and getting a natural sound. A: What is your vision for your project . What kind of sounds are looking to achieve. A: Make sure you feel comfortable with the people you are going to be working with. Communicate and make sure you are on the same page. 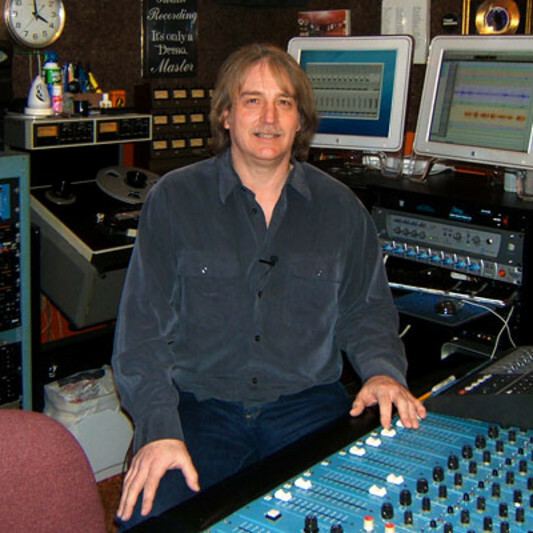 A: An objective unbiased opinion, coupled with years of experience to help make the production right for the song. I will contribute as much or as little to the project as is required by the artist. I often end up co-producing the project with the artist. A: When I'm cutting tracks I set up the studio so the band has good visual eye contact. While they run down the song I get my sound check, talk about anything that needs to get worked out, then we start recording. I keep it simple and make it as easy as possible. A: The live room is about 20' x 24' with an eight foot ceiling. the sound is very natural and even in the room. Bands doing live tracking feel very comfortable in the room which has a 70's living room vibe. There is a 10' X 12' isolation booth if needed. The control room features a 28 input Speck 800C analog console to feed the Pro Tools 10 rig for a nice warm sound. I have over 30 microphones and 12 dbx analog compressors. The studio features a vintage 1970's Slingerland drum set, Vox, Fender and Marshall amps, a Kawai KG-2 grand piano. There is a good selection of virtual synthesizer sounds, including Kontakt 4, Miroslav Philharmonic, Expand 2, SampleMoog, Sampletron, Reason, Battery 3, Abbey Road Drums and more. A: Most of my work consists of working with artists on projects from start to finish. Recording, overdubbing and mixing, so the sound remains very consistent during the course of the project. I also do a lot of work on home based projects sometimes recording things that the artist can't do properly at home and mixing a project to give them a more polished sound.